We had 20+ riders. 25 mile loop. Hayden Run Falls. Mad Mex for some. Junior's Tacos for others. We are excited to announce that construction is now beginning on the gap in the Scioto Trail between Grandview Avenue and the Central Post Office. This linkage is being built by ODOT, and will connect the entire path between downtown and the Grandview/Hilltop area. 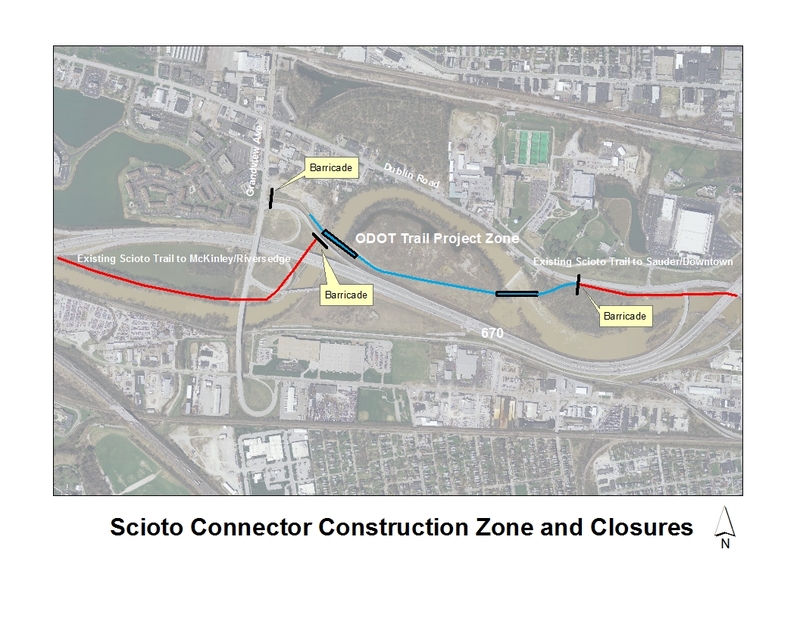 Construction includes two bridges over the Scioto River. During this 18 month time period, users will not be able to access the path @ Grandview Avenue, and the path will be barricaded near its current end @ the Post Office. Users will still be able to use the path from the Confluence to the Sauder Avenue bridge and cross to the Floodwall Path. 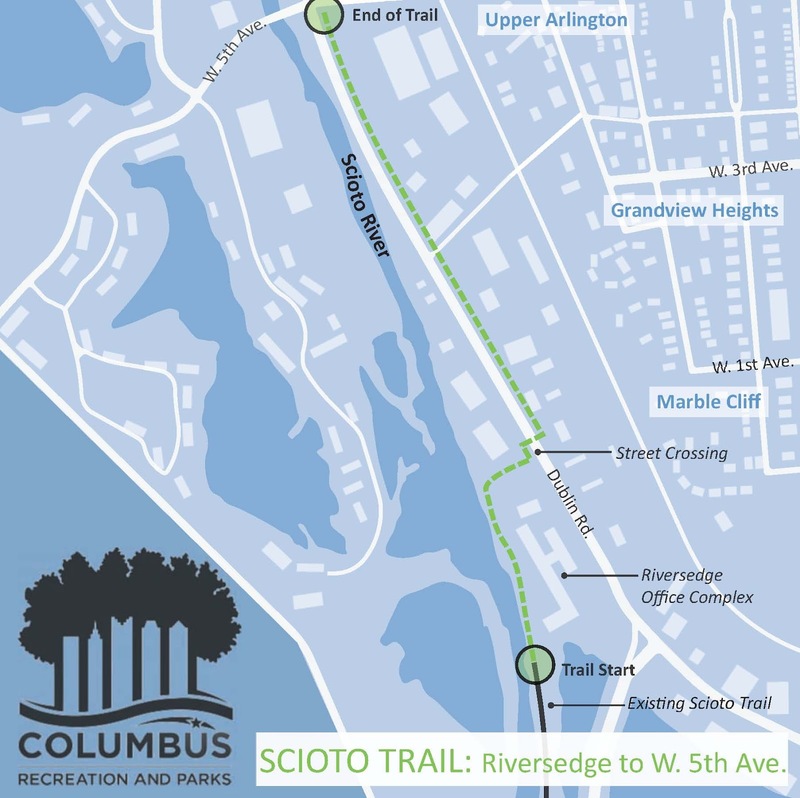 Users can also still use the north segment of the trail from McKinley Avenue, the new Hilltop Connector bridge, and a 0.5 mile section to Riversedge. Construction starts in September on a new 1 mile extension of the trail north to Fifth Avenue. This will not involve any detours or closures. The journey to bring the Vaya Travel to life started way back at the origins of the Vaya itself. The Vaya originated as our all-surface road and touring bike. It came out of our quest for durability, versatility, and great ride quality. The Vaya quickly became my go-to bike for the majority of my non-trail riding. My job involves handling Salsa product from concept to first delivery, and with this I travel the world visiting suppliers and customers, seeing some amazing places, and logging around 75,000 miles a year on an airplane. With all of these great places, I longed to have my Vaya with me to ride. The 10th Annual DCFT Community Ties Bicycle Tour presented by OhioHealth promises to build on the break-out success of previous years, with well-marked routes through scenic Delaware County, multiple snack stops featuring homemade cookies, and another delicious and healthful, locally grown and made lunch provided by the Glass Rooster Home Canneryunder a large outdoor tent. More than 275 riders participated in the 2011 ride -- the largest turnout ever with all proceeds going to support multi-purpose trail development in Delaware County connecting with the statewide Ohio to Erie Trail. The ride features options of 31, 62 and 100 miles as well as an 8-mile Family Ride, and includes scenic areas, rare bird habitats, parks, new sections of the Ohio to Erie Trail, well-marked route maps and SAG vehicle. Registration is from 7 - 9 a.m. except for the Family Ride which starts at 10 a.m. The ride will start/end at Northside Community Church, northeast corner of S.R. 3 and Freeman Road in Westerville, site of the homemade lunch. Pre-registration cost is $25 per rider, or $25 per family participating in the Family Ride. 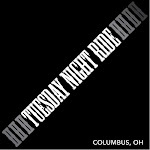 Day-of-ride registration is $30. Some riders enjoyed last year's ride so much that they wrote to tell us: "I must compliment you on your tremendous bike tour. This spring, at age 57, I decided that cycling was going to be my new fitness endeavor. I have participated in 5-6 organized rides and I have to say that I enjoyed your ride the best. All of your volunteers were as welcoming, friendly and informative as could possibly be. The many water stops were much appreciated. The lunch back at Northside Fellowship Church was homemade and perfect and delicious and the women that served the meal were awesome and so much fun to talk to." "Thanks for a great ride! The food was fabulous! The best I've tasted in decades." Registration includes a one-year membership to the Delaware County Friends of the Trail. Click on the green button below for online registration or print the mail-in brochure by clicking PDF here. After years of being locked away in a dusty corner of the shop, we have decided to bring back the original Rock n' Road tire - along with a host of improvements. Built by Panaracer in Japan, the new tire is ideal for all-purpose riding. Not a full road tire, not a full dirt tire, but a great all-arounder. The new tire measures out at a nice 43mm ( or 1.72" for the Imperial folks) x 700c. It's lighter than the original. Our 43mm x 700c samples all weighed right about 540g. We paid extra for top quality! Japanese-built by Panaracer, the tire has a nice kevlar folding bead and a classic gumwall. We are doing introductory pre-order pricing of $100/set delivered for the first 100 sets - that works out to less than $50/tire. Try and find a tire this nice for under $50/ea. The tire is expected to land the first week of June and will ship as fast as we can stuff them into a box - pricing will change after June 1st! Few imported bikes from that era would fit such a wide tire due to import duty issues. While that sounds ridiculous, it made sense to some as the only other bikes that could fit such a big tire were Dutch bikes. The logic was simple: to protect a US manufacturing segment from overseas competition (or just a company that started with an "S" and ended with an "N"), create an import tax (based on certain dimensional criteria) so high that it prevents the import of a competing product (before their production was sent to the far east...but that's another story). Lynskey Performance Designs announces it's 2013 Limited Edition SRAM Red Helix OS. Working closely with SRAM, Lynskey developed the paint scheme that perfectly matches the colors and design aspects of the highly anticipated 2013 SRAM Red Groupset. Each frame is built per order and hand numbered and signed by David Lynskey, the bike's designer, just before the frame recieves it's final two layers of clearcoat. The Helix OS is Lynskey's premiere pro series titanium road racing bike. It provides all the stiffness required for responsive gap closing pushes while maintaining a level of comfort that is unparralleled. Many current Helix OS owners say it is their favorite bike. Period. 13 of the 30 LTD Helix OS's have already been signed, sealed and delivered... I'm yours. Americans love their cars. I'm not entirely sure whether this bond was forged out of some vague sense of American individualism or perhaps was simply the offspring of our nation's industrial genius, but it is indisputably a part of our national character. Maybe the car is so beloved because it is the legacy to our pioneering history -- the idea that anyone can hop in the Chevy and go almost anywhere, especially since Americans hold the concept of social mobility so dear. From any perspective, owning a car has become an indispensable piece of the American Dream. However, our love affair with automobiles doesn't come without a cost. Many problems have come to be closely identified with the ways in which we use our cars, which has included everything from the damaging pollution of our environment to frustrating traffic backups in major cities to tragic levels of vehicular homicide caused by drunk or reckless driving. In my opinion, however, America's infatuation with cars has produced an even more devastating consequence: the degradation and demoralization of civic life in our towns and cities. I argue that this single, particularly insidious outcome of American car culture is, in many ways, the ultimate source of a whole slew of societal ills that plague us today. When was the last time you really walked somewhere? If you're like most Americans, you probably spend more time going up and down the stairs in your house each day than purposefully using your legs outside to get from Point A to Point B. Most roads aren't safe for pedestrian travel anymore, and there are several reasons for this. But, most importantly, people don't walk anywhere nowadays because there's nowhere to go. M-E Companies is discussing alternative connectors for Hudson and Mock roads to the Olentangy & Alum Creek trail and connecting Northtowne across to the Alum Creek trail through the neighborhoods. Columbus Greenways Trail Development. 2012 is the most aggressive trail development ever in Central Ohio. Alum Creek is still struggling to be finished. The smallest piece will take the longest. 22 miles when completed. Ohio Dominican is in design. Brittany Hills & Innis Park under construction. Innis Park to Easton under construction. Camp Chase is getting closer to becoming a reality. There is a planned bike bridge to cross I-270 in the Georgesville Rd area to finish out the Camp Chase Trail. Brad was really excited about this bridge. Henderson RD from 315 to Kenny Rd will be updated with bicycle facilities. Goodale Ave will be getting a BIKE/PED ONLY bridge over 315 and Olentangy to connect with Harrison West Connector. This will be a showcase piece! There are TWO proposals, B-Share & Alta, to handle a 300-400 bikes and 30 station bike share system in Columbus. Bike share is planning to be launched next spring or summer in downtown Columbus. They will be using a non-profit to manage the system instead of the city. the addition of parking spaces on High St on August 2, 2012. Mound Street starting later this year. stores and restaurants. The result? TBD. More Surly Krampus 29+ Goodness! With all the buzz over Surly’s new platform, I was quite excited to get a chance to ride one at Snowbasin Resort near Ogden, Utah, where it was to be unveiled. I had seen the fuzzy, grainy spy photos and had some clues as to what was going on. I knew it involved yet another new tire size. What new trend were the folks in Minnesota cooking up now? I had thought the Krampus was going to turn out to an extension of the fat bike genre that is sweeping the nation, but no. The Krampus is a mountain bike with 3-inch-wide tires, that’s all. A fun and versatile mountain bike. I spoke with Adam Scholtes, Surly product manager, who filled me in on everything. The core value in the design process was starting with MTB standards: A 73mm bottom bracket shell, 100/135mm front and rear axle spacing, and while the headtube has a 44mm inside diameter for use with tapered forks, headsets will be available for straight 1-1/8” forks like the one that comes with the frameset. I wasn’t sure what this bike was about until Adam pointed out that you could put whatever mountain bike parts you like (or just have sitting around in the garage) on the 4130 steel frame. You could put any 29er rim and tire combo on there; a great starting point; but the frame is really built around a brandy-new Surly rim and tire, which are designed for each other for easy, correct bead seating. Adam went on about how you must be able to put the tire on the rim by hand, while at the same time you don’t want the tire unexpectedly coming off the rim after a blowout either. Here is some Krampus video action. Sausage-shape Bunker saddle (USA), from 19th Century anatomic craze, or was it 20th Century? Columbus police have identified a bicyclist killed in a Far West Side crash on Sunday night as Elissa Hatfield, 19. She was riding a bicycle on Hilliard-Rome Road when she was struck by an SUV as she crossed Fisher Road at 10:53 p.m. The SUV, driven by Casey Hakes, 38, was westbound on Fisher Road, police said. Hatfield died in Mount Carmel West hospital at 11:18 p.m. Sunday. It was the city’s 35th traffic fatality this year. Salsa Cycles - SaddleDrive 2012 :: New models for 2013! The dropouts are the core of the FABIKE frame. 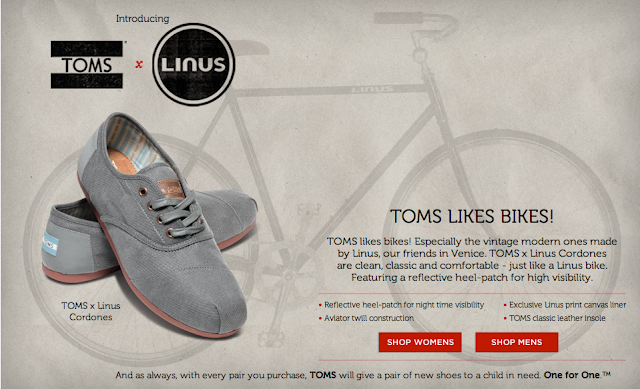 They have been designed in a way never seen before. This great innovation means that you will be able to change the dropout spacing from 120 mm to 130 mm in order to mount different kinds of hubs onto the frame. But, this is not all. The FABIKE dropouts have vertical insertion. This means that you will be able to mount the rear wheel as easily as on a road frame, without the need for a chain tensioner as the two dropouts will be able to slide horizontally, obtaining optimal chain tensioning. 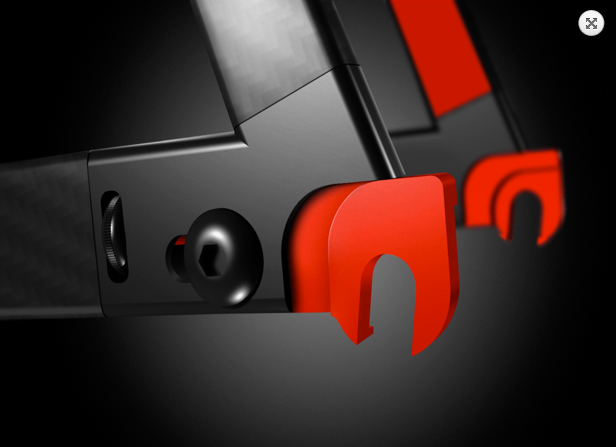 Additionally, the sliding factor is regulated by a high-precision micro-adjustment integrated inside the frame. This is of course the best solution if you want to use the bike as a single speed/fixed gear bicycle, but it does not prevent you from equipping it with a cassette and derailleur if you wish to have more gears. The dropouts will be produced using CNC machinery, out of 7075 aluminum alloy (ergal) and titanium locking bolts. FABIKE dropouts - registered patent from FABIKE on Vimeo. Crankworx Mountain Of Hell with GIANT from Lucas Stanus on Vimeo. 2009 Specialized Hardrock Sport. Aluminum hardtail with suspension fork, 26 inch wheels, and SRAM drivetrain. Great to excellent condition. Very clean and ready to ride. Mechanically solid, maintained at Paradise Garage. New Maxxis Aspen tires @$58 a piece, ridden twice. 17 inch (medium) frame, fits person between 5'3-5'8. Get ready for the first National Women's Bicycling Summit to be held onSeptember 13, 2012 in Long Beach, California (at the conclusion of the Pro Walk Pro Bike conference). The Summit will provide a unique opportunity to network, share best practices and develop action steps to get more women in your community out riding. It will provide the space for us to create a bike future where women of all backgrounds are equally represented on the streets and in the movement! Registration is now open: Click here to sign up! Tickets are $35 and include admission to the Cycle Chic Fashion Show for the first 150 registrants! Can't make it? Help us provide scholarships and make this event a huge success: Donate here! We designed an eco-friendly food trike. Help us finish building two tricycles to serve coffee on the streets of Columbus, Ohio. We are bringing Solar Roast coffee to Columbus, with our first café opening in Hilliard this August. We want to start serving coffee in the under-caffinated areas of our city. Our tricycles are small enough to serve directly on the sidewalk, too. Help us finish building two eco-friendly coffee trikes and support our Kickstarter project. The coffee we serve is roasted with the heat generated from concentrated sunlight. Roasted in Pueblo, Colorado, the brothers that invented the Helios solar consentrators used to roast the beans have made their technology openly available for a variety of uses. We take inspiration from their mission, adopting the same philosophy of reducing environment impact and consider it in all that we do. For that reason we believe tricycles are the most efficient and convenient ways to serve coffee, especially in areas that do not have coffee available!!! We need help finishing the second tricycle and adding solar panels to each of the tricycles. Our Kickstarter campaign to collect $1,500 will give us enough money to build each tricycle. Anything additional allows us to buy a trailer and make further additions to the trike. We want to share what we are doing with you, whether you are in Columbus or not. We have rewards that let you try the coffee we are so proud of bringing to Columbus! Your contributions allow us to finish our eco-friendly tricycle project by August 15 and immedietly start making coffee service more convenient in downtown Columbus. About the Street Brew trikes! We designed the tricycles based on available parts and materials! Because we have a light frame without any heavy appliances, the frame does not require structural modifications to be used for our trikes. Each tricycle is going to be able to serve for 2 hours without refueling, coffee. It will be operated by pedals and solar panels, making it perfect for mobile coffee service. We plan to equip each trike with on-board brewers so we can extend coffee service and stay full during the busiest times of day. For now we are taking the trike around on a truck, once we get more than two out on a daily basis we will purchase a trailer to haul the bikes around. If the Kickstarter campaign is a wild success, we will be able to purchase the trailer immedietly. Metal - the bikes don't use a lot of it, but we do need to buy enough aluminum to build the serving box for the second trike. We build the bikes in such a way that there is minimal waste and we re-use as much as we can. Solar Panels - After our first day, we realized we need to be able to constantly brew coffee. We want to brew right on the bike. One small solar panel will be enough to power a small brewer on each trike. Fabricator - We did pretty good on the first bike, but we want the second one to look perfect. We need to pay a fabricator for a few hours to do some welding and metal work. That will be the finishing touches (and if you know a great fabricator, email their contact info to Blair ( blair@solar-cafe.com ). We hope you can donate, even $1 is awesome. Our beans and coffee is our own production and the trikes are our own design. Let's kickstart this project!